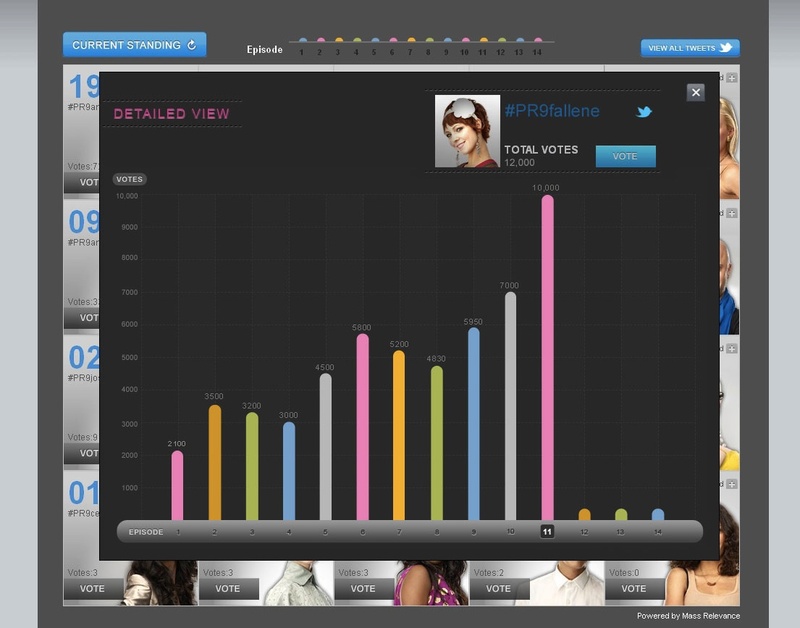 Whenever hit Lifetime series Project Runway is on TV, viewers tend to tune-in live and use social networks to discuss what’s happening. Now in its ninth season, the show is attempting to leverage the power of social networks to help drive awareness and live tune-in with a new Fan Favorite award determined by Twitter votes. Starting with the Season 9 premiere of Project Runway on Thursday, July 28, fans will be able to vote for their favorite contestants on the show during each episode, with a $10,000 prize going to the winner at the end of the season. To determine which contestants fans are most passionate about, A+E has established a personal hashtag for each contestant, and will be aggregating “votes” based on how many Tweets are received for each contestant. The results will be posted on the Project Runway website, but they will also be updated weekly and will air within episodes to let viewers know which contestant is leading week-by-week. 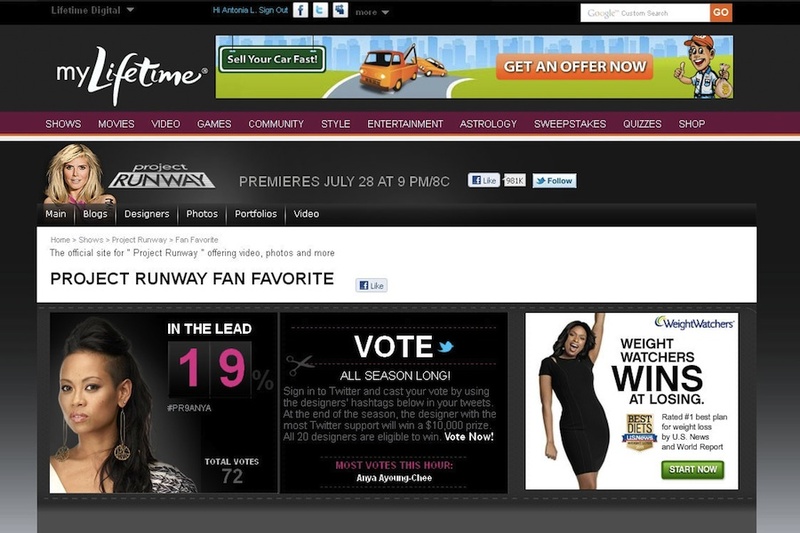 In addition, Project Runway hopes to drive awareness of the contest by including the designer’s hashtag each time his or her name is displayed on-screen. The Fan Favorite winner doesn’t have to be one of the finalists for the show, according to A+E SVP of Digital Media Evan Silverman. That’s important, because it’s often third- or fourth- or even fifth-place contestants that most resonate with viewers. Even after someone has been eliminated, he or she will still be eligible to win the Fan Favorite prize, and viewers can still vote for that contestant.